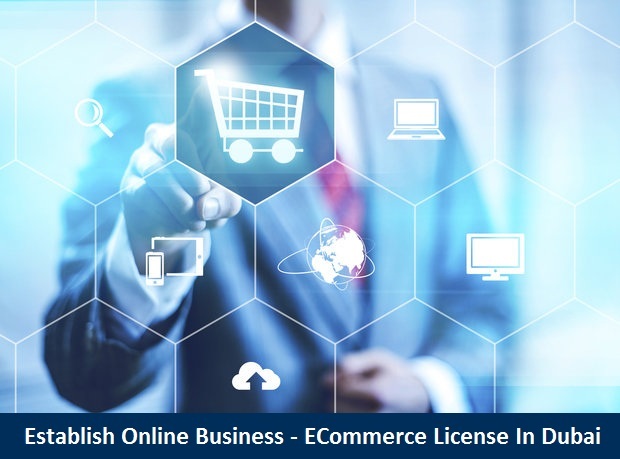 Dubai has turned out to be one of the perfect places to start an E-commerce license. The core phase of its fame is because of its tax free rules.UAE attracts a lot of investors, entrepreneurs and factory owner from across the world as it is constantly emerging. Corporations in Dubai are at huge advantage due to the quick development of the economy. With nearly half of the world’s population likely to become web users by 2016, the internet economy is set to provide companies with a significant source of growth. In the past years, Dubai has made dominant efforts to enact itself as an e-commerce nerve center. According to a study carried out by Dubai Media City in late 2002, Dubai at that time was on a par with top European Union states in basic online services. The trend is being further fired by the rise of the emerging markets and the growth of social media. SMEs are also increasingly moving and shaking the Internet used for marketing, sales and collaboration with customers and suppliers. In the Middle East, the web result is no less exciting. For example, 42 percent of UAE consumers accessed the internet for online window-shopping in 2012 and up to 33 percent in 2010 as stated by MasterCard. The e-commerce trends here are no peculiar. All the new players are setting brilliant trails for e-tailing. PayPal is coming on huge in the GCC region. As a matter of fact, according to Arab Advisors Group, the value of e-commerce associated transactions is about $11 billion a year in the Middle East. With the rise of broadband in the region and improvements in logistics, security of transactions, payment execution and technology speed, we expect the online space to continue to succeed. Piling and sizing on the top and up brand in the Internet era is about acknowledging the new actions of an evolving customer base. Looking to the future, the debate has to shift from e-commerce vs. offline commerce to an integrated model. For the costumer, some things remain the same whether the talk is about online or offline retail buying. Customers still want to buy fashionable products at great prices, they still value good services, and they continue to fancy brands that understand their daily life interests. Progressively, consumers are making the final purchase through a series of online and offline experiences. Online, they share information, authenticate their friend’s choice, research, learn and develop a point of view. Offline they often look at and feel the product, stack up with some brands and associating it with others. It is a combination of these experiences that drives the end-user to his or her final purchase decision and brands of the future must take both into regard. Finding the right tactic for this online versus offline dynamic will be the key to success of future brands and e-tailors. To form a web-based firm/company, you will need a License from the Department of Economic Development (DED). If you are looking to incorporate a company within a free zone, the license will have to be obtained from the respected free zone authority. The type/kind of license issued will depend on the nature of your online business. Subjected on the nature of the business, you should also hold an opinion of setting up a physical office. Dubai-based company must have a physical office space to be treated legal/lawful. You will be required to choose and register a domain name. This is the name or address you will use for your website. (Suggested: The company name). A horde of companies in the UAE offer domain name registration services. In order to obtain it, you can search it out on Google which is the best one available. If you are bringing in goods from outside the country and selling them online to the UAE market, the business has to be registered with the respected emirate’s ports and customs/tax authority and also acquire an importer’s code. A customs/tax duty (often 5%) is applicable to goods being imported from outside the country. Businesses incorporated within a free zone are exempt from customs duties if they are selling their products/services within the free zone or outside the country. On the other hand, if they are selling to the UAE market (outside the free zone), the customs duty has to be paid and a local commercial agent has to be appointed. We at RIZ & MONA Consultancy provide company registration services from beginning till end. You can contact us on +971-4-5586339 and feel free to send your queries on [email protected] For more information visit us. Excellent post about establish online business..